Carolyn's Abstract Art Home: "Cool as a Cucumber"
"Don't ask what the world needs. Ask what makes you come alive, and go do it. 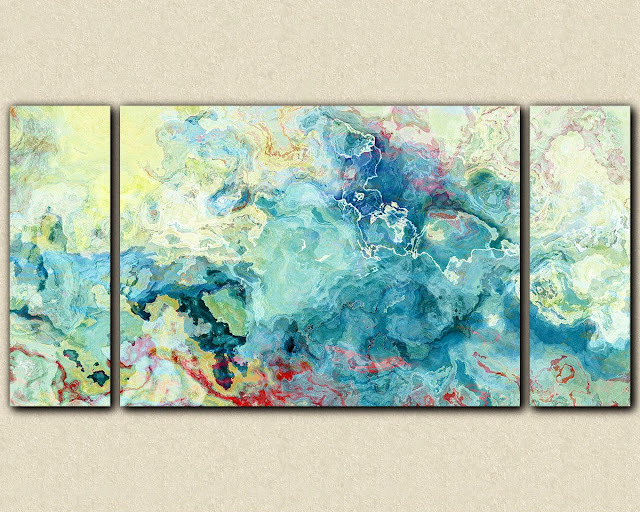 Cool aqua blue (with the barest touch of red) swirls across a subtle cream background in this contemporary abstract piece.